© 2019 Sazerac Co., Inc. Forget what your mother said, bitter is better – especially with cocktails. Distilled from herbs, roots, and other flavorful botanicals, bitters have highly-concentrated flavors. Not only do they add complexity to cocktails, but they also have a history of soothing stomachaches and even a cure for the hiccups. While there are a number of options, we’ll look at four of the largest brands. Angostura bitters were first produced in the town of Angostura or Ciudad Bolivar in Venezuela, serving as a tonic to ease soldiers’ stomachs, as they established Venezuela and several other countries under political leader Simon Bolivar. 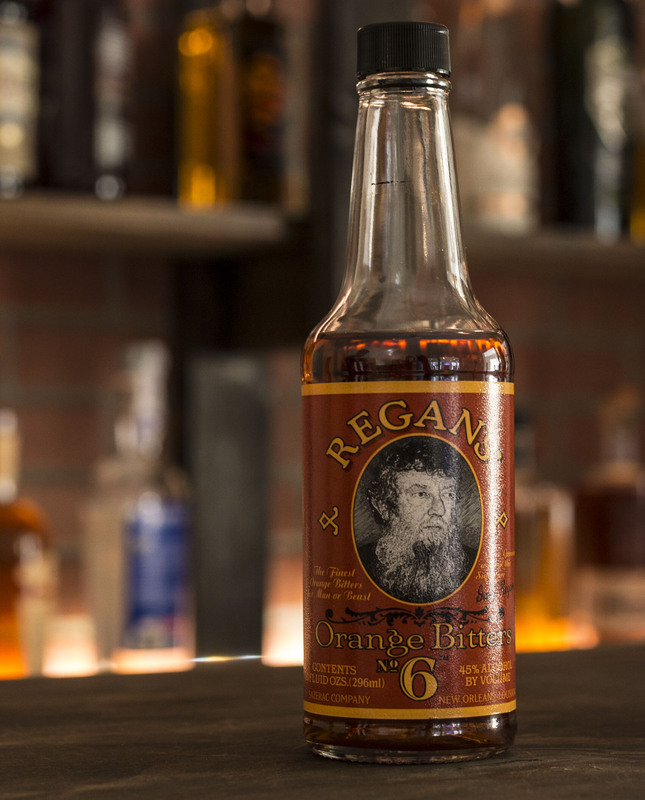 Today, their bitters are produced in Trinidad and Tobago, and the recipe is rumored to be a guarded five-person secret. Not even those who help make the bitters know the exact ingredients! Angostura bitters are known for their distinctive bottle with its dramatically oversized label and brightly colored caps. Concentrated at 44.7% ABV, Angostura bitters have a flavor that is as effective as it is distinctive. The qualities of Angostura bitters flavor provide a balance of sweet and strong elements, while tempering the acidity of citrus cocktails. They are also found in numerous recipes, as well as soft drinks. 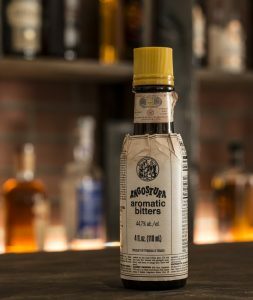 While Angostura bitters are often used in a variety of cocktails, they pair best with whiskey-based cocktails such as the Old Fashioned and Manhattan. They also make an appearance in the Champagne Cocktail, Trinidad & Tobago Rum Punch, the classic Daiquiri and Pisco Sour. 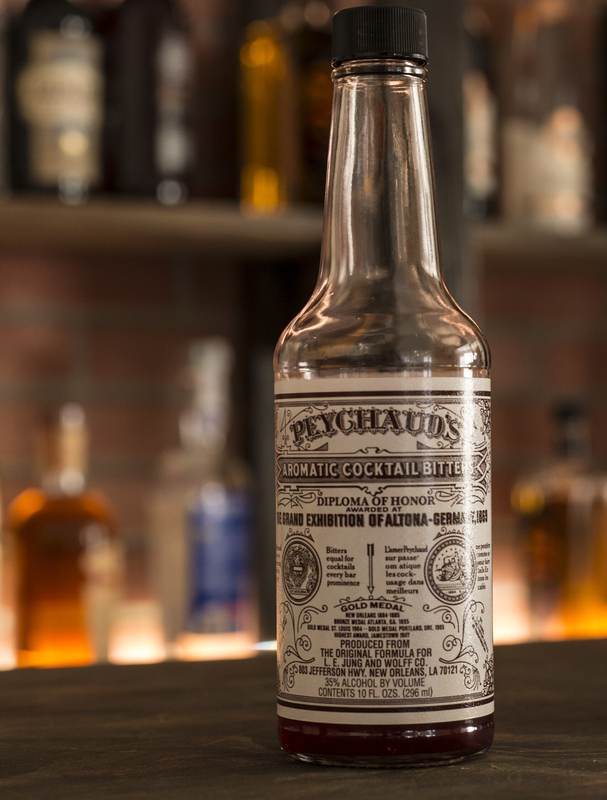 Peychaud’s Bitters certainly have a history that keeps up with its classic rival, Angostura. In 1793, wealthy plantation owners from the Peychaud family were forced to flee the island of San Domingo and with them they took a recipe for a liquid tonic. They settled in New Orleans where Antoine Peychaud opened anpothecary. He often treated his friends with his version of a Brandy Toddy with the tonic, known today as “Peychaud’s Bitters.” Using a secret family recipe, the toddies were made with a double-ended eggcup for measuring, which is also known as a “coquetier” (pronounced “ko-k-tay”). Concentrated at 35% ABV, Peychaud’s flavor differs from the profile of aromatic bitters, as it’s light and fruity. This sweet liquid is reminiscent of licorice and caramel, as its slight hints of cherry, clove, and nutmeg leave your mouth watering and craving another libation. Even though Peychaud’s bitters are quite versatile in a number of different cocktails, they make a frequent appearance in classic cocktails such as the Vieux Carre and Sazerac. The sweet flavor profile also caters well to other cocktails such as the Old Fashioned and Manhattan. Not to mention, Peychaud’s can also add some zest to a Cognac Brandy. By the end of the 1800s, orange bitters were prominent in cocktail recipes, but perhaps their most famous use was in the original Dry Martini. Orange bitters remained a bar staple through Prohibition and shortly beyond, however their popularity slowly declined in the 1930s. Although for a while it was difficult to find these in the United States, orange bitters have made resurgence back into bars with mixologists and cocktail aficionados alike. Regan’s Orange Bitter’s No. 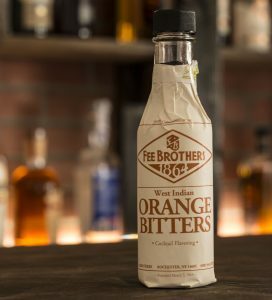 6 and Fee Brothers Orange Bitters are the two most popular types of orange bitters. The recipe for orange bitters includes peels of Seville oranges, cardamom, caraway seed, coriander, and burnt sugar in a standard alcohol base with a taste that is as unique as its name. Concentrated at 9% ABV, Fee Brother’s rendition is the least complex and has a fruity profile that is sweeter than most. At 45% ABV, Regan’s flavor profile is much more complex with zesty fresh smell of orange with mild spice undertones and a finish that is much less fruity than that of Fee Brother’s. Regan’s and Fee’s are excellent in Martinis, however you must choose your bitters wisely and carefully when you craft your libation, as stronger spice flavors can overpower a martini. Fueled by the craft cocktail movement, bitters varieties are expanding almost as fast as vodka flavors. Options range from fruity – grapefruit, lemon, peach and rhubarb – to more robust profiles, like mole and tobacco. Recent additions include limited edition whiskey-barrel and tiki bitters, which add distinctive flavors. The options are exploding and are now able to provide the ability of ultimate customization when it comes to mastering your signature sip.